IUCN Green List The Park in November 2014 has entered in the IUCN Green List of Protected Areas, the list of those parks that are successfully coping with the challenges of the 21st century, as opposed to the red list of the endangered species. The GLPA is the only global standard of good practices for protected areas and aims at recognizing and promoting success in the management of some of the most important natural areas of the planet. The first 23 successful sites have been selected among 50 candidates proposed by eight countries that have realized and experienced the procedure in the framework of the green list first phase. Gran Paradiso is the only italian park included and has appeared among the first 23 worldwide. European Diploma to the Gran Paradiso National Park The Ministers’ Committee of the Council of Europe officially assigned the European Diploma of Protected Areas to the Gran Paradiso National Park. Thanks to this document, the first Italian National Park is directly under the sponsorship of the Council of Europe for 5 years. The Diploma can be renewed or cancelled in the event that a general deterioration in the condition of the site is recognized. Environmental Certification Emas and Iso-14001 The National Park has positively got over the audit of the environmental verifier Certiquality, as its own environmental managing sistem was in compliance with the requirements of the CE 1221/2009 EMAS regulation and the UNI EN ISO 14001 rule, instruments aiming at continuous improvement of an organization environmental performances in order to realize a sustainable development in the european framework and worldwide. The Certiquality tecnical commission has approved, moreover, the Environmental Declaration 2011-2014, that has been sent to the Committee for Ecolabel and Ecoaudit EMAS Section Italy, Ministry of Environment, in order to complete the registration iter. The Managing of the Environmental System has been planned with the scientific support of the Applied Ecology Sector, Department of Land, Environment and Geotecnology Engineering of the Politecnico di Torino. Council of Europe Landscape award Candidature 2011/2012 The Ministry of cultural activities and heritage jury has reported “A piedi tra le nuvole”, project for sustainable mobility in the Park, among the ten proposals arrived at the final phase for the italian candidature to the Council of Europe Landscape Award. The project has been included among ten finalists of ninentyfive participants coming from all over Italy, for the following reasons: "It's an exemplary intervention for the parks fruition policy as it gives the opportunity to protect areas of remarkable environmental relevance, facing limited economic resources". 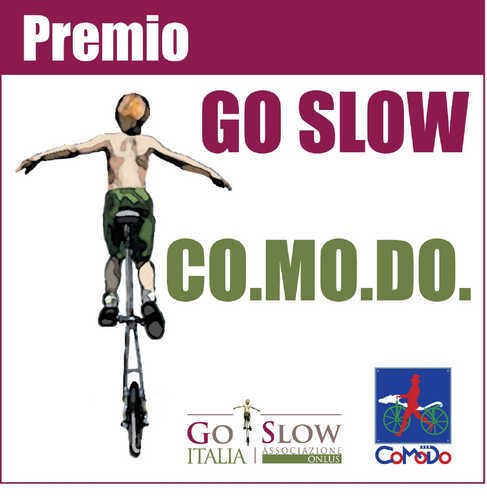 Go-Slow Award Co.Mo.Do 2009 The Italian Association Go Slow and Co.Mo.Do (confederation of associations that deal with alternative mobility, such as Italian Touring Club, WWF, Legambiente and Italia Nostra) has assigned the 3° national award “Go Slow – Co.Mo.Do. 2009” to the Park, dedicated to the networks of soft mobility realized by public administrations. The Park has obtained the third position thanks to the project “A piedi tra le nuvole” that since seven years ago has involved the Park in the promotion of mobility and sustainable fruition in the Nivolet Area. The jury, presided by the town-planner Albano Marcarini, has evaluated the best realizations of soft mobility integrated system by the public administrations, and has given the award to the Nivolet project ".. for introducing, for the first time in Italy, a different and sustainable use of a street infrastructure in a protected area through an accessibility regulated by means of low or no impact. For having been able to promote the initiative outward with effectiveness that has obtained an increasing and appreciated success over the years". Alpine Pearls Alpine Pearls is the network of twentyseven touristic locations that offer sustainable holidays on the mountains, promoting a sustainable tourism in order to ensure environmental integrity, authenticity and beauty of the landscapes. The Park boasts two municipality within the network, Cogne since 2010 and Ceresole Reale since 2012.